To start, The Journey of the Phoenix was an idea I had already planned out, but not yet started. 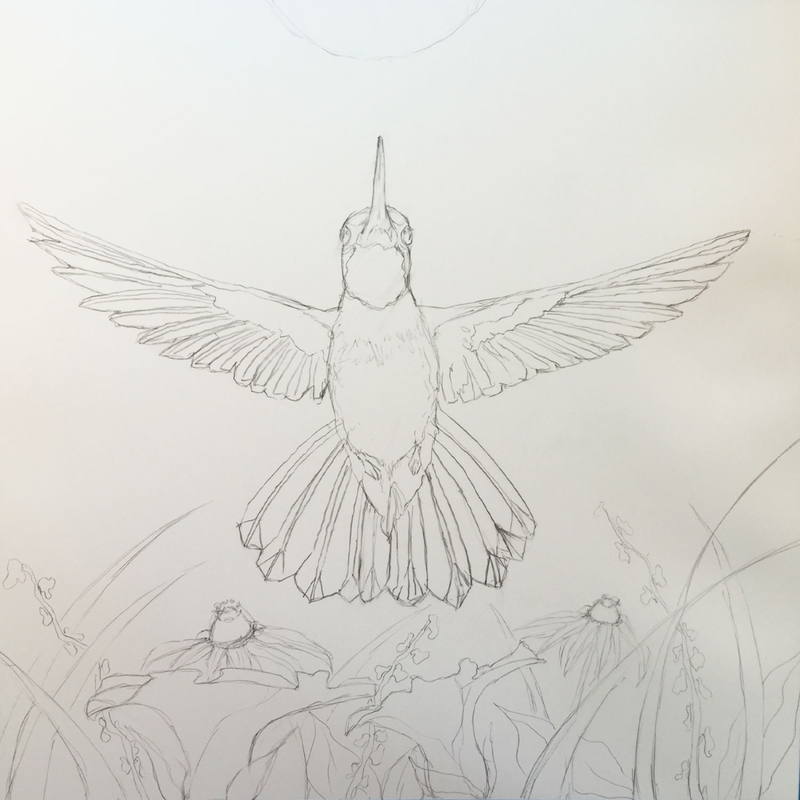 Then a series of events seemed to trigger the piece and take on a whole new meaning. 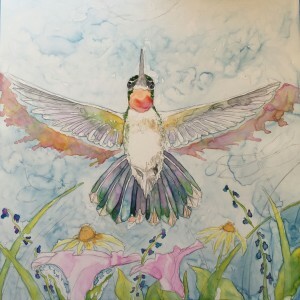 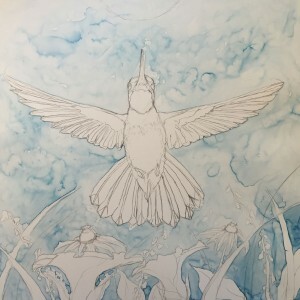 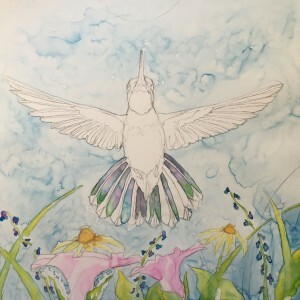 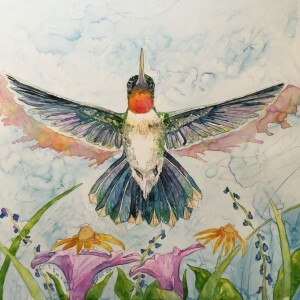 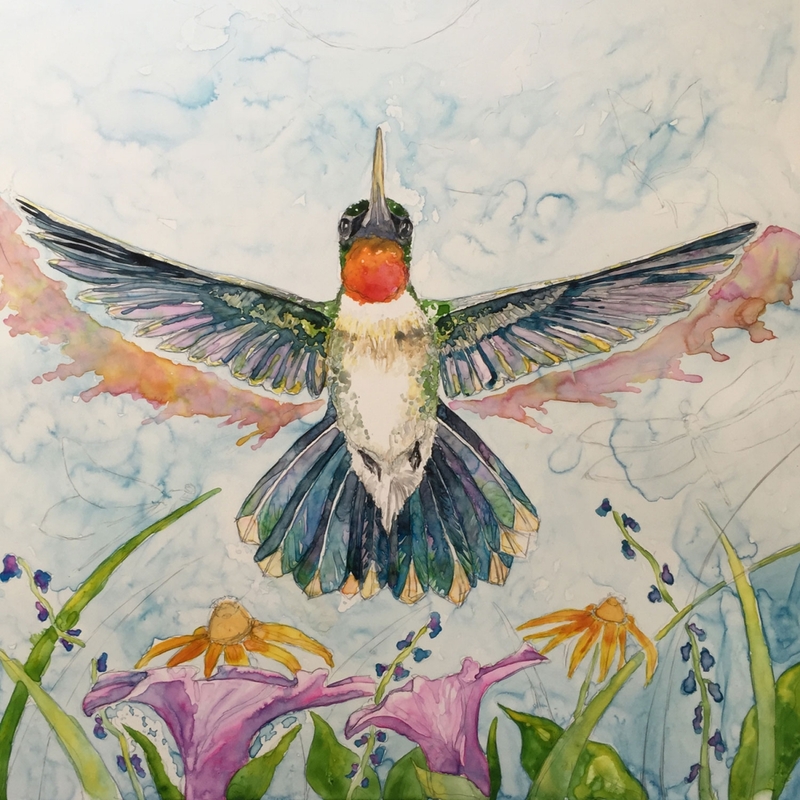 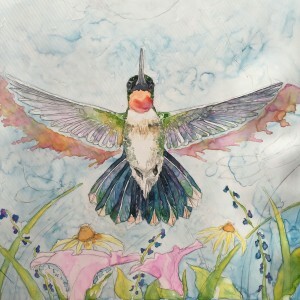 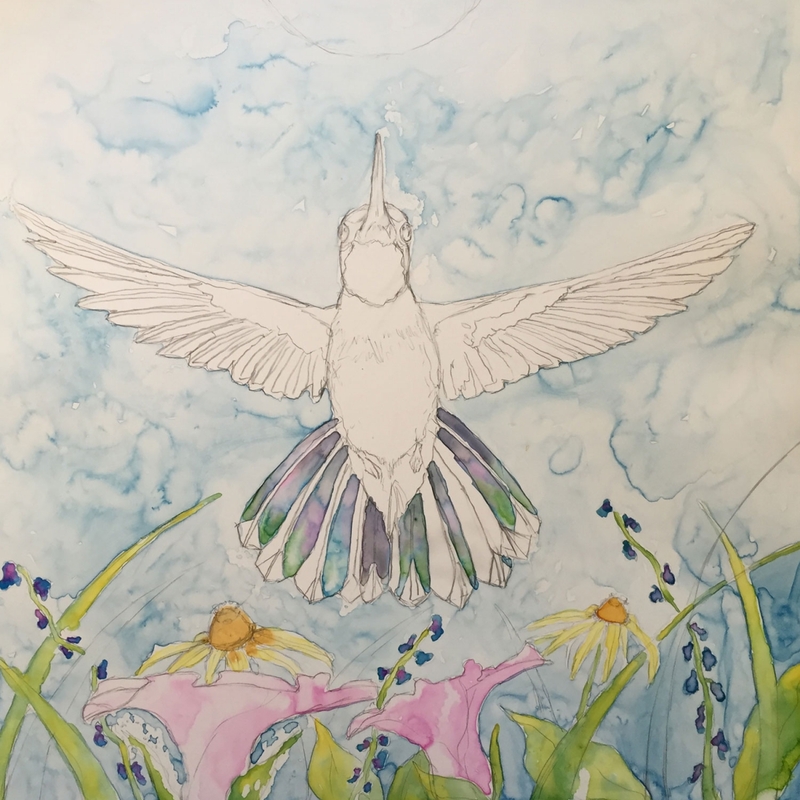 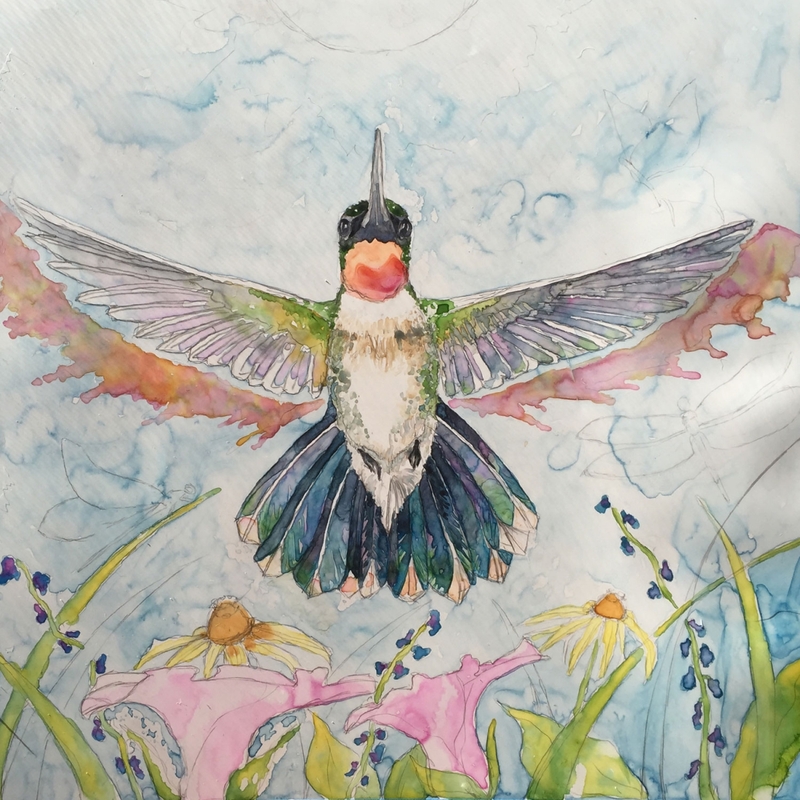 Through the loss of so many “phoenix’s” this past year and the hummingbird migration patterns setting in, it seemed to fit the time and circumstances. 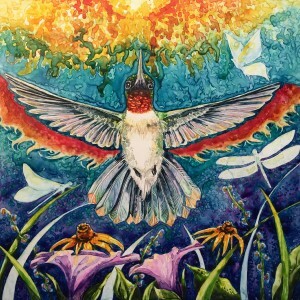 Furthermore, the symbolism of a hummingbird reminds us to stay in the present and express gratitude. The growth and migration processes represents the universal transformation of life and moving on. 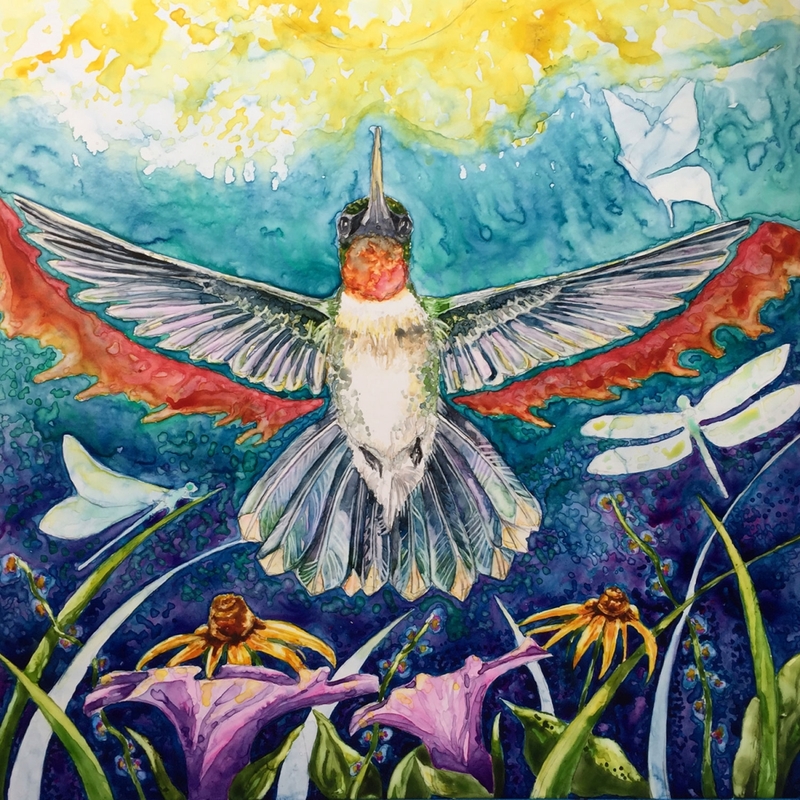 I personally dedicate this piece to my Great Aunt Ruth, who was a blazing Phoenix in her own right. 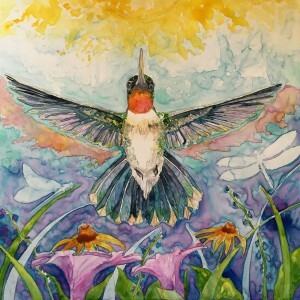 Her diligence, sensibility, creativity and memories will live on through our family. The Journey of the Phoenix is the fifth installment in my Wings of Inspiration Series.